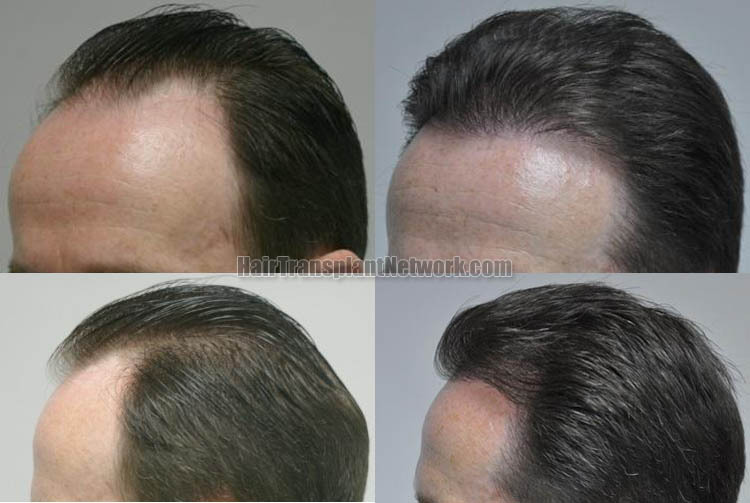 Here is a 42 year old caucasian male who has receding fronto-temporal hair line and has good donor hair. He wanted to lower his hair line and reconstruct both temples. He underwent hair transplantation on Dec 10th,2010. 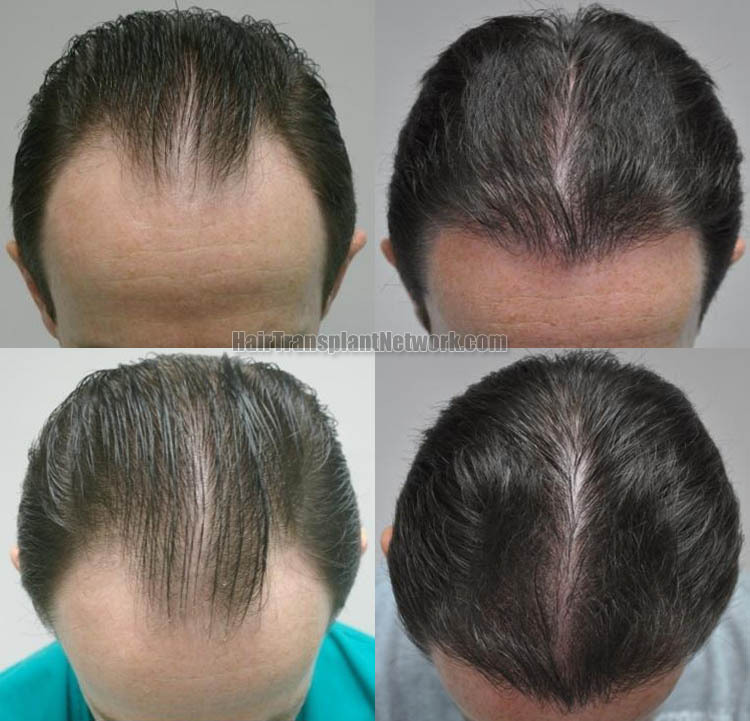 The balding area measured roughly 50 cm2, 2,784 grafts were transplanted (1 hair graft=626,2 hairs grafts=1786,3 hairs graft=462, total number of hairs=5584).His post op pictures were taken at one year 7 months as seen below included the donor scar. 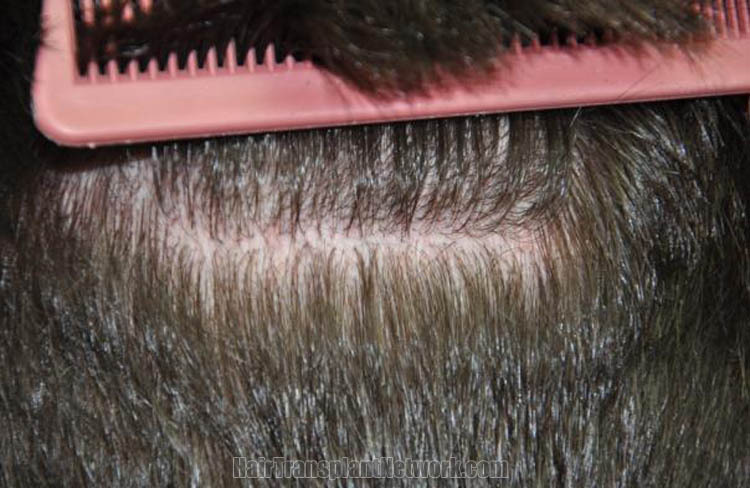 Hair restoration surgery using 2784 grafts shown from the front, viewing before and after pictures. 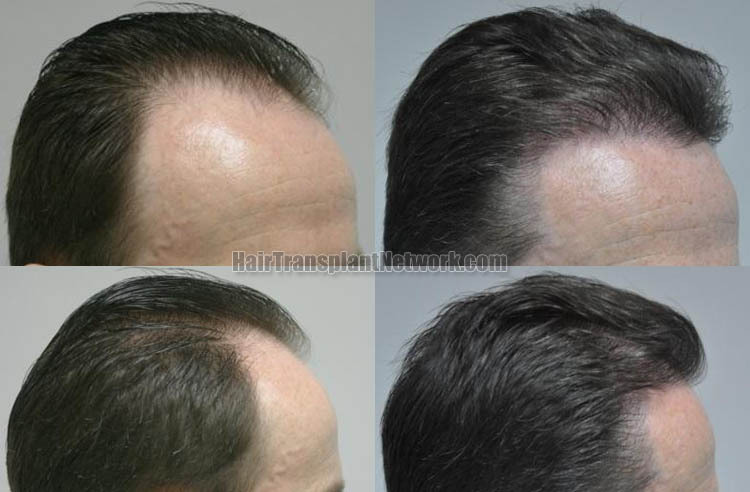 Hair transplant surgery using 2784 grafts viewed from the top, displaying before and after photos. Hair restoration surgery with 2784 grafts displayed from the left, viewing preoperative and postoperative photographs. Hair transplant procedure with 2784 grafts displayed from the right, viewing before and after images. Hair restoration surgery with 2784 grafts viewing immediate postoperative images. Hair transplant procedure using 2784 grafts displaying the patient’s residual donor area scar.